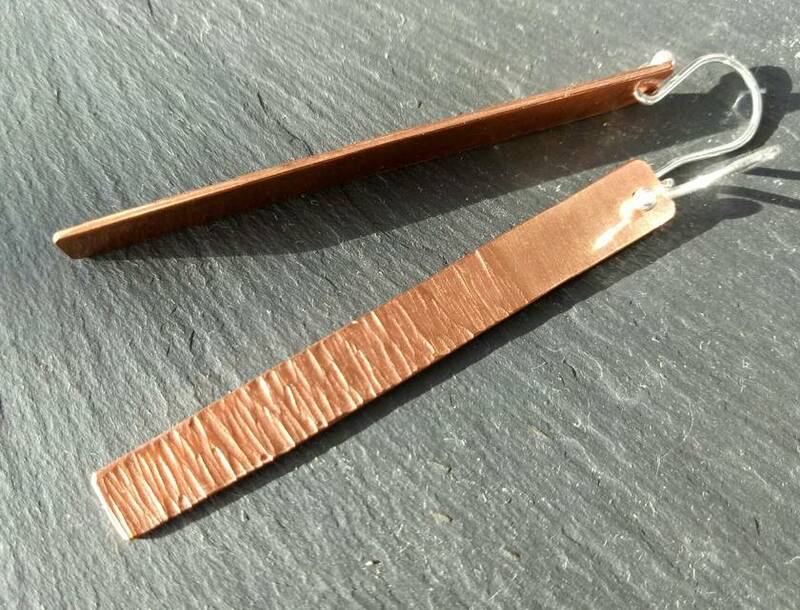 Handmade in 0.9mm thick copper and textured to product a great finish. 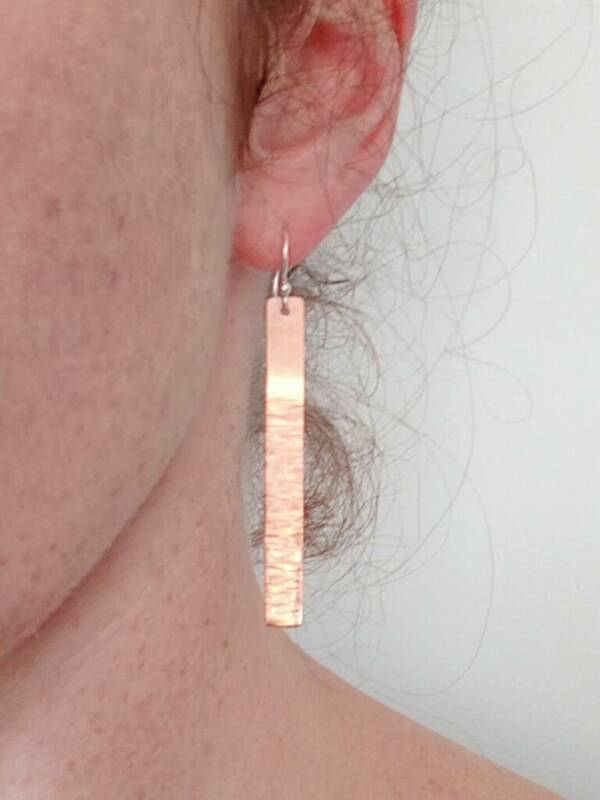 Measuring 6cm x 0.5cm with a Sterling Silver earring hook. 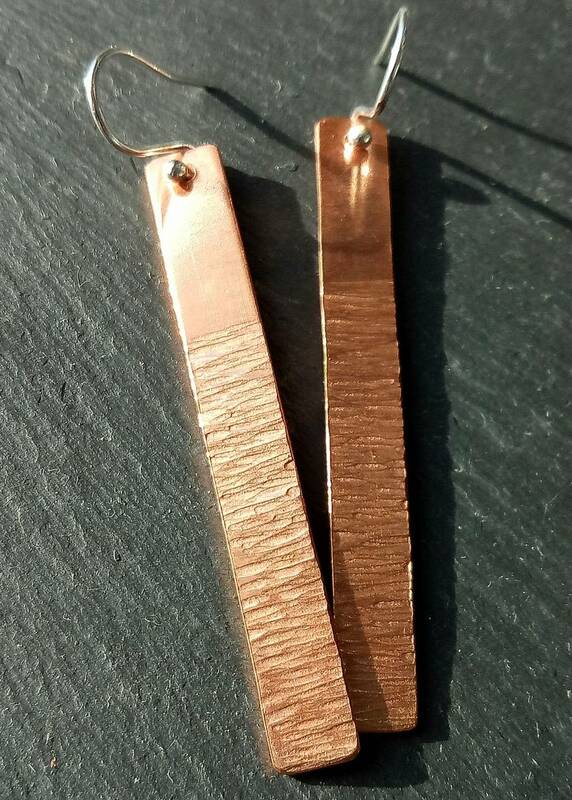 Please feel free to ask if you would like a pair in a different length/width.